See the CTR® 9 Ergonomics and Functions in Action! It’s finally here! Car-O-Liner announces the release of our newest video highlighting the great features and functions of the CTR9 Fully Automatic Spot Welder. The Ergo-grip handles allows technicians to comfortably hold gun in any position. The double rotating c-tong handle gives higher productivity while reducing strains and injuries. 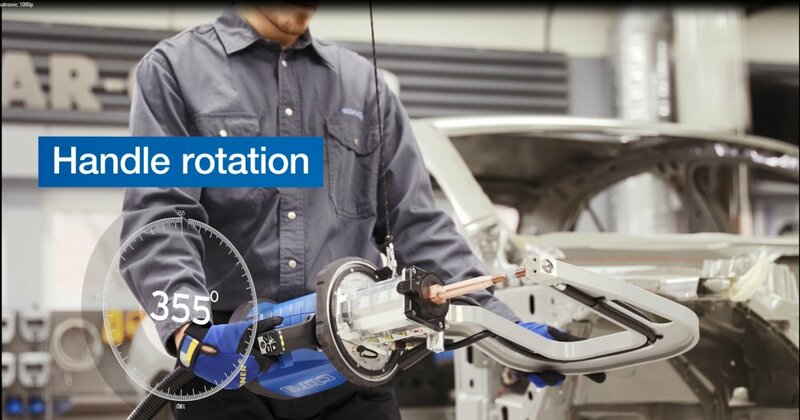 Watch as Car-O-Liner representatives demonstrate the ergonomically enhanced functions of the CTR9 fully automatic resistance spot welder. 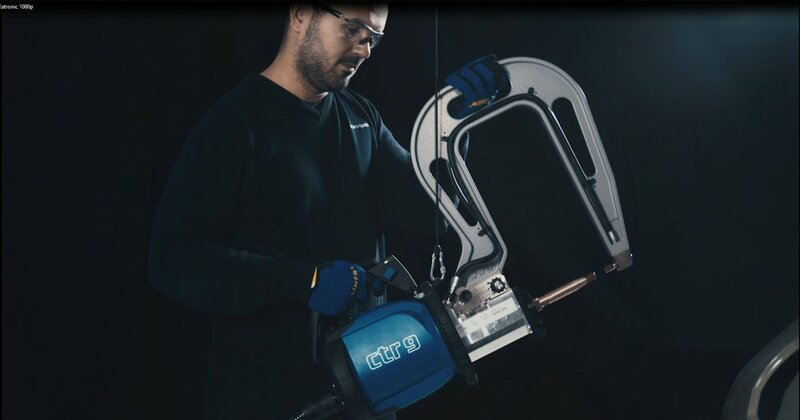 The CTR9 fully automatic welder comes with a new, revolutionized light-weight transformer gun. With its 355° swivel handle and ergo-grip, it enables perfect working positions for anyone, for any job. The gun is supported by a telescopic arm in a durable and lightweight extruded aluminum that can be easily adjusted both vertically and horizontally. A compact power unit with a low center of gravity gives mobility and stability, a 16,000-amp transformer and CANBUS communication ensure a perfect weld every time.